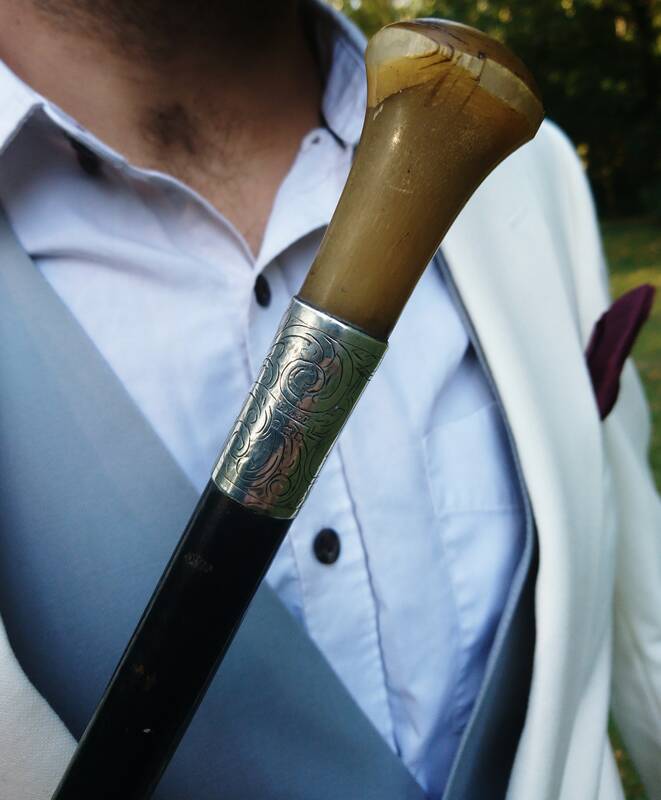 A gorgeous vintage early 20's gentleman's walking cane. 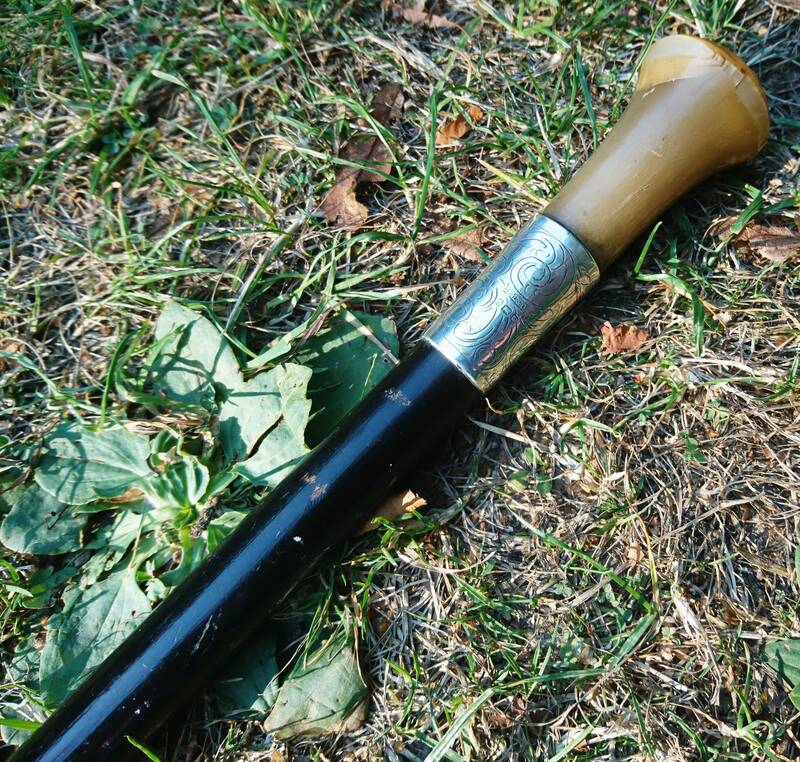 Black lacquered wood shaft with a substantial silver collar and a carved rounded cattle horn handle. 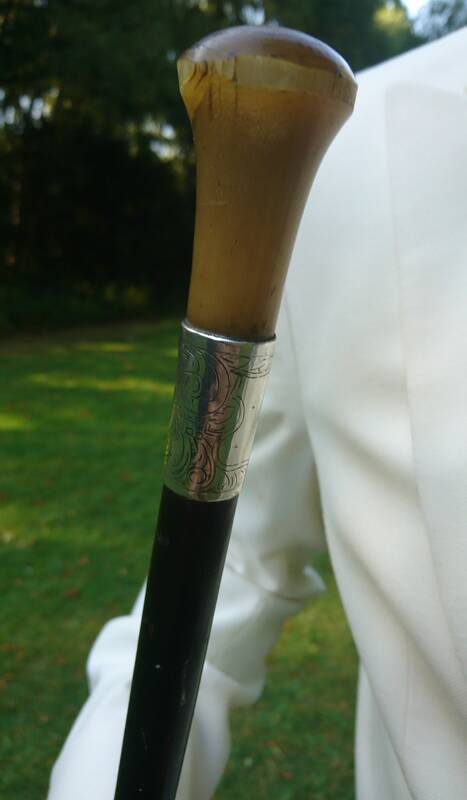 The silver collar has some fine foliate engraving surrounding a central shield shaped cartouche that is not monogrammed so could be personalised. 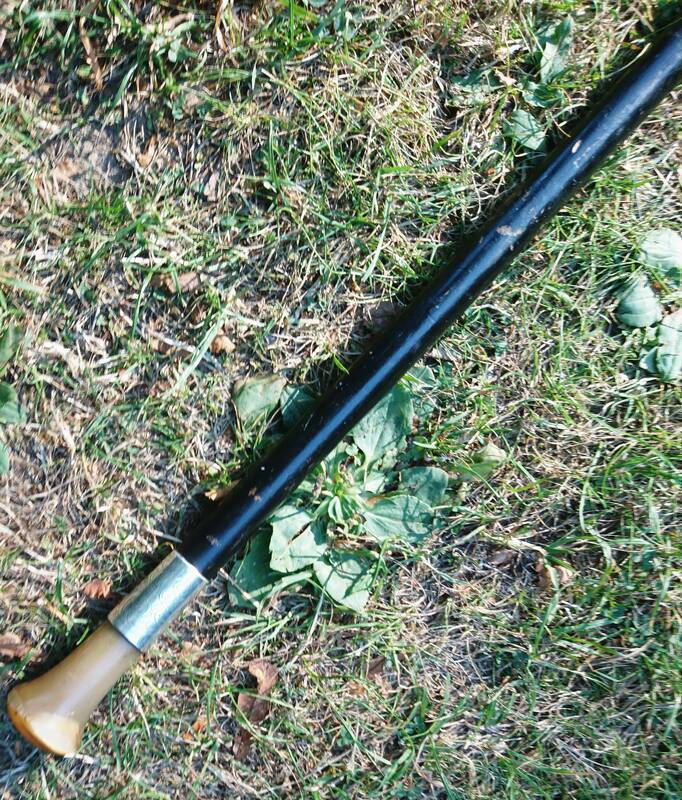 There are a few tiny nibbles to the horn, no sharp or raised areas and no cracks, the tapered shaft is losing some of its black paint particularly towards the bottom but this could be repainted, it does not have a tip at the end but these can be replaced. Fully hallmarked for London, 1923, maker BM&Co. 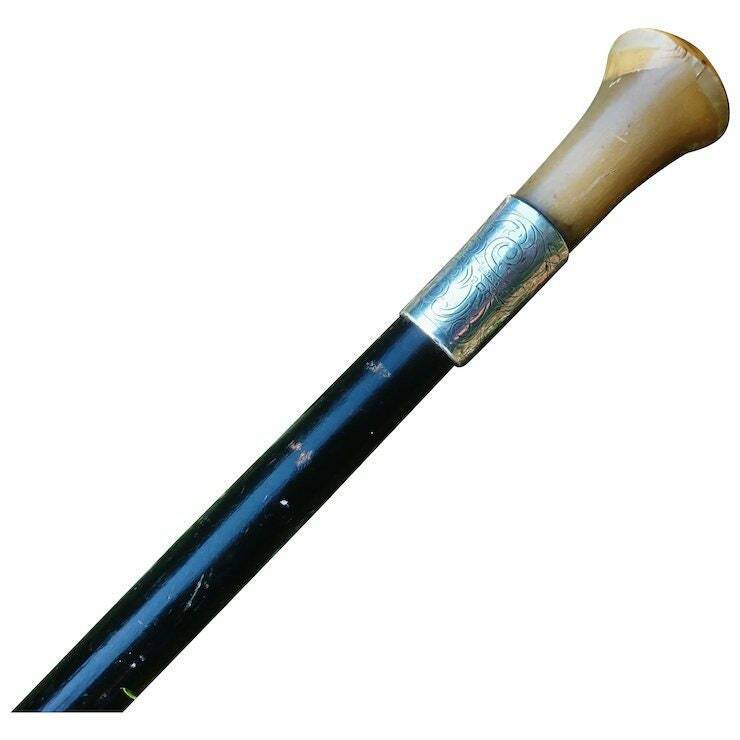 Channel your inner gentleman with this stylish and well made walking cane or you could just swagger around your neighbourhood pretending you are an extra from peaky blinders. 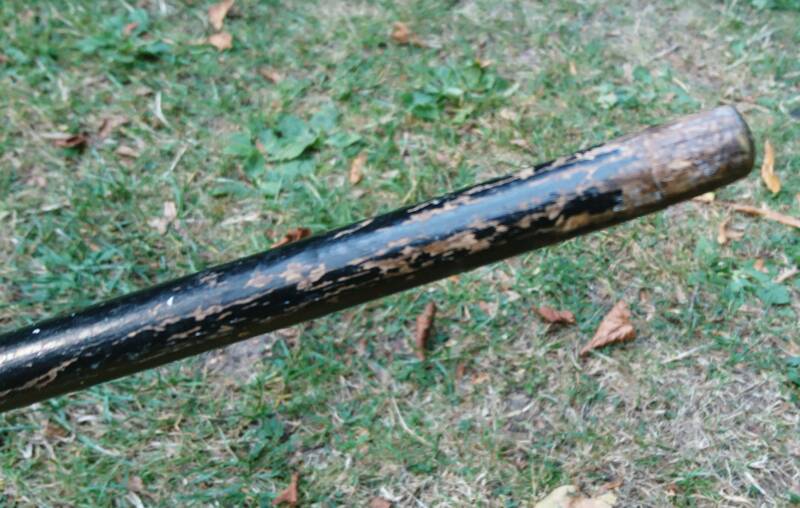 Either way it is a lovely piece from the early 20's and ready to be personalised so would make a great gift. 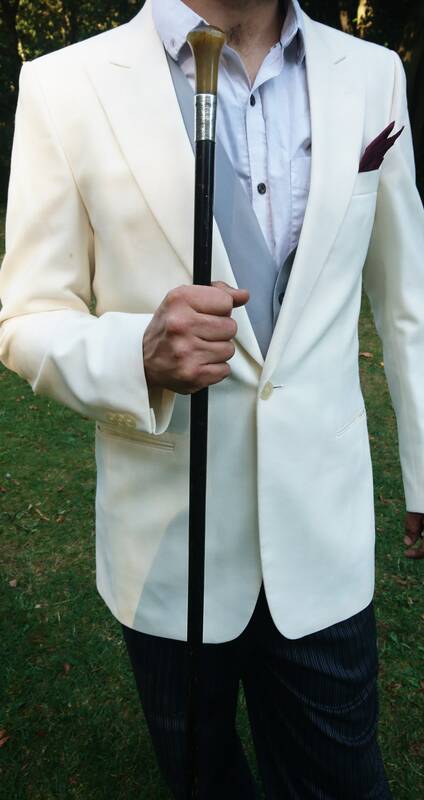 Approx 36" length and the cane approx 2.5" circumference.